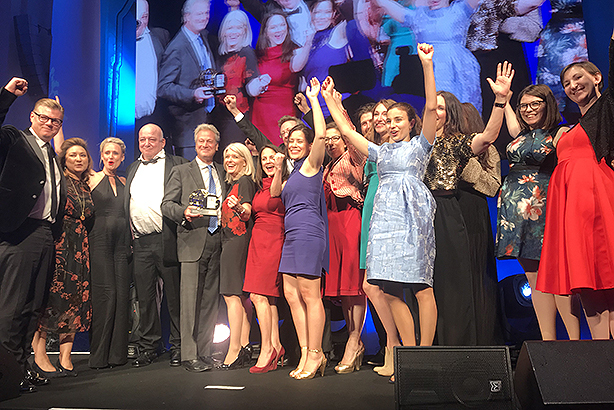 The best of the best in global PR and communications assembled in London tonight to find out who would take home the coveted trophies at the PRWeek Global Awards 2018. Weber Shandwick won the Global Agency for the fourth year running, and picked up a further three awards and four high commendations elsewhere. The global agency professional of the year was Text100 global boss Aedhmar Hynes, ahead of highly commended Weber president Gail Heimann. On the in-house side, Royal Philips took the Global Brand award while Kirsten Walkom of Save the Children International was named global in-house professional of the year. Ketchum and its subsidiaries won four awards and two high commendations, while Burson-Marsteller picked up a trio of prizes via its India and Middle-East operations. Highly commended: #LETSWOW – Lidl x Heidi Klum Fashion Collection by häberlein & mauerer for Lidl Stiftung & Co. Winner: Antonio Lucio, CMO of HP Inc.